This giant aluminium beehive that uses real bee activity to give visitors an “experiential insight” into the life of a colony has been installed in the Royal Botanic Gardens at Kew, reports the BBC. It opens to the public on Saturday. 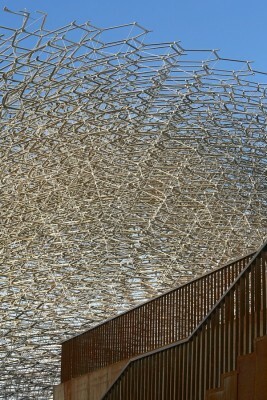 The Hive is the first ever British Pavilion to be reused and brought back home, and will be unveiled within the stunning landscape of Kew Gardens on the 18th of June 2016. 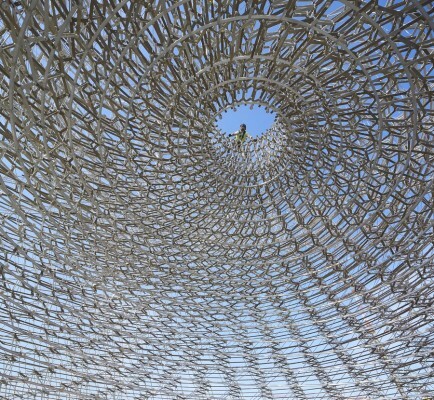 The Hive, a 55ft (17m) high and 40 tonne work which incorporates lights and music, was originally created for the 2015 Milan Expo. 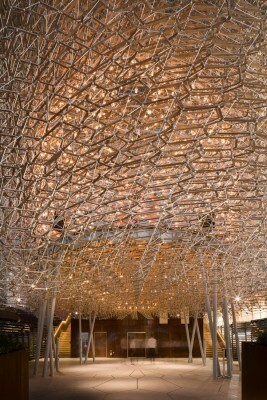 The lattice installation, which is made up of 170,000 parts, was designed by Nottingham artist Wolfgang Buttress. Visitors will be drawn into The Hive via a lush and vibrant wild flower meadow as though they are bees returning to the hive. Once inside, thousands of flickering LED lights will bring this 40 tonne lattice structure to life, while an orchestral arrangement sets the mood. After discovering that bees hum in the key of C, a beautiful, complementary symphony of vocals and cello was composed to create a calming, meditative soundscape within The Hive, inspired by the deep visceral hum of bees. 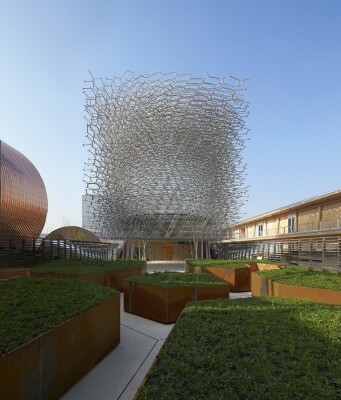 After a spectacular run as the centrepiece of the gold medal winning UK Pavilion at the 2015 Milan Expo, UK Trade & Investment (UKTI) and Royal Botanic Gardens, Kew, announced back in January 21st that the stunning structure, The Hive, will take up its new home within Kew Gardens from June 2016. 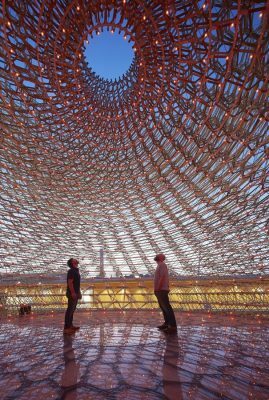 Soaring 17 metres in the air, designed by Wolfgang Buttress and created by BDP, Simmonds Studio and Stage One, The Hive is an immersive, multi-sensory experience inspired by groundbreaking UK scientific research into the health of bees. 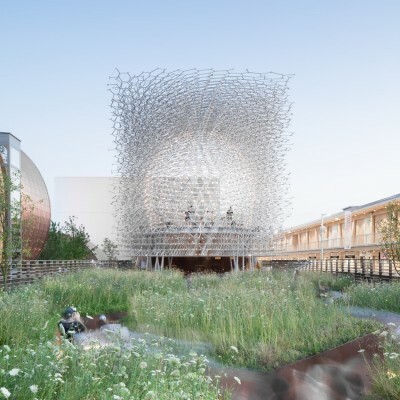 Showcasing British creativity, innovation and leadership in overcoming global challenges, this magnificent aluminium structure will draw visitors into the space via a wildflower meadow, as though they were worker bees returning to the hive. The wildflower meadow will serve to build understanding and appreciation of these habitats, and their significance for insect pollinators. Hundreds of glowing LED lights bring this 40 tonne lattice structure to life, while a beautiful symphony of orchestral sounds fills the air, with an atmospheric undercurrent of buzzes and pulses. Triggered by vibration sensors within a real beehive, the sound and light intensity within the pavilion increases as the energy levels in the living hive surge, giving visitors an incredible insight into the ever-moving life of a bee colony. As visitors wander through this continually changing space, they will begin a journey, exploring the vital role of bees and other pollinators in feeding the planet – of the 100 crop species that provide 90% of food worldwide, 70 are pollinated by bees. Crucial links between food security and pollinators will come alive as Kew scientists share their solutions for pollinators under pressure, from their innovative research into the plant chemicals in pollen and nectar that enable bees to overcome disease to the development of high quality wildflower seeds by Kew’s UK Native Seed Hub. 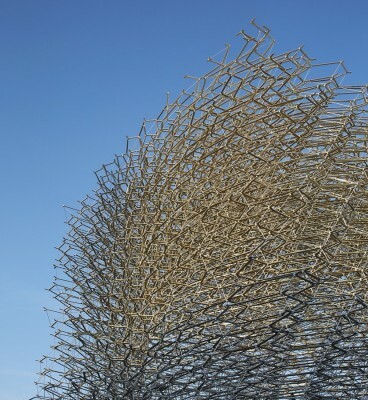 ‘We are truly delighted to announce The Hive’s move to Kew, both for its magnificent aesthetic appeal and for the resonance it has with our work – I can think of no better home for this remarkable marriage of architecture and science. 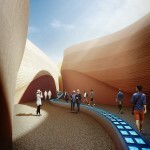 ‘The UK Pavilion at the Milan World Expo 2015 was an outstanding success. 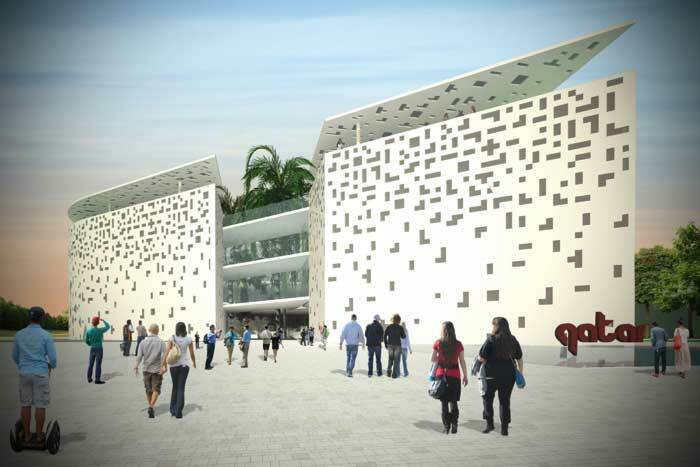 It was visited by over 3.3 million people in just six months, with a further 450 million people viewing it across the world’s media and online, and it received multiple awards including the Expo’s gold medal for best architecture and landscape design. ‘Pollinators, like bees and other insects, are integral to our natural environment, and play a vital role in our food industry. 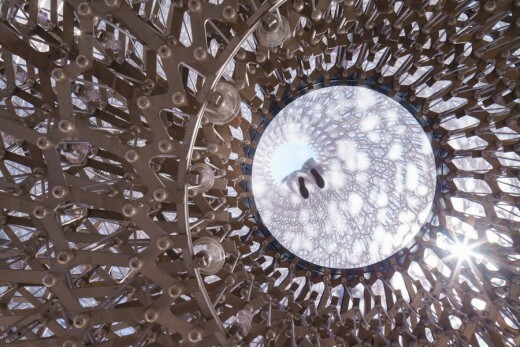 To reflect the Expo 2015 theme of “Feeding the Planet, Energy for Life” the UK Pavilion highlighted the groundbreaking UK research into pollinators, principally the bee, and their role in the global food chain. This includes research by renowned scientist Dr Martin Bencsik, who has been conducting pioneering research into bee vibration and communication patterns. 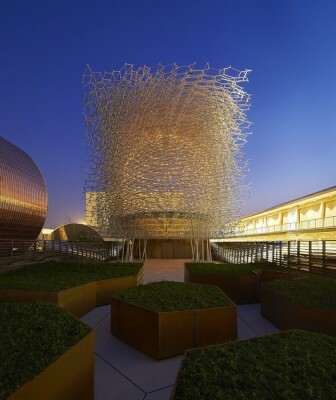 During its time in Milan, the Hive structure proved a huge success, attracting millions of visitors and winning the gold award for architecture and landscape. It became a powerful symbol of UK strengths in innovation, creativity and global leadership to a worldwide audience, while helping to drive exports and attract international investment. Pollinators are an essential part of the UK environment and play a crucial role in food production, which is why a priority for this government is protection to help bees and other pollinators thrive. You can read more on the National Pollinator Strategy on gov.uk: http://www.gov.uk/government/publications/national-pollinator-strategy-for-bees-and-other-pollinators-in-england. Royal Botanic Gardens, Kew is a world famous scientific organisation, internationally respected for its outstanding collections as well as its scientific expertise in plant diversity, conservation and sustainable development in the UK and around the world. Kew Gardens is a major international and top London visitor attraction. Kew’s 132 hectares of landscaped gardens, and Kew’s country estate, Wakehurst, attract over 1.5 million visits every year. Kew was made a UNESCO World Heritage Site in July 2003 and celebrated its 250th anniversary in 2009. Wakehurst is home to Kew’s Millennium Seed Bank, the largest wild plant seed bank in the world. Kew receives approximately just under half of its funding from Government through the Department for the Environment, Food and Rural Affairs (Defra). Further funding needed to support Kew’s vital work comes from donors, membership and commercial activity including ticket sales. 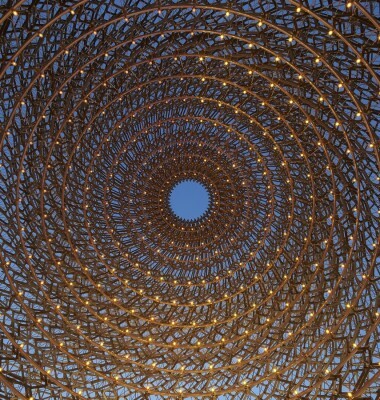 Wolfgang Buttress creates sculptures which seek to define and celebrate a sense of place. His work alludes to histories, traces and memories, which are both personal, contextual and aim to express the sublime. The artworks establish a connection to something timeless and elemental. Increasingly he has drawn inspiration from nature, collaborating with experts to explore and interpret scientific discoveries. Wolfgang has created and exhibited artworks in the UK and internationally. His awards include the Japanese Kajima Gold Award for Space (2014) and the Structural Steel Award for projects under £2 million (2013). 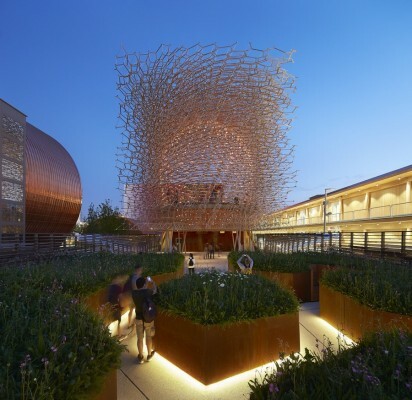 More recently his UK Pavilion design created for the 2015 Milan Expo was awarded the BIE gold award for ‘best pavilion architecture and landscape’. 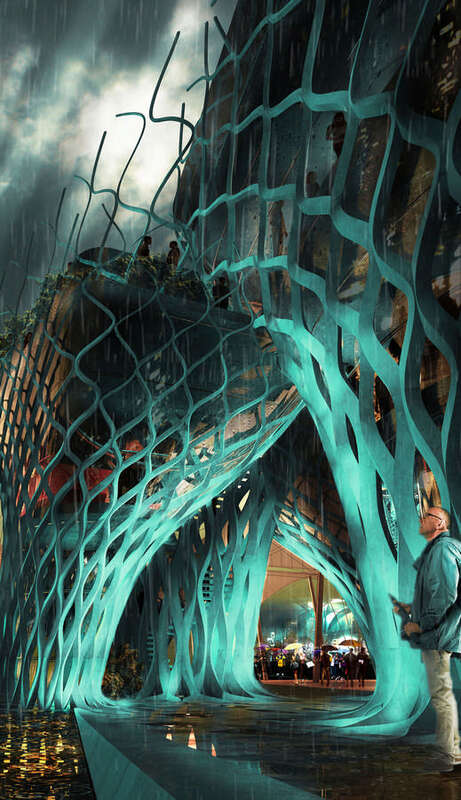 Designed by Nottingham-based artist Wolfgang Buttress in collaboration with engineer Tristan Simmonds and Manchester-based architectural practice BDP. It is constructed and manufactured by York-based company Stage One. The Royal Botanic Gardens, Kew is a world famous scientific organisation, internationally respected for its outstanding living collection of plants and world-class herbarium as well as its scientific expertise in plant diversity, conservation and sustainable development in the UK and around the world. Kew Gardens is a major international visitor attraction and its 132 hectares of landscaped gardens attract over one million visitors per year.